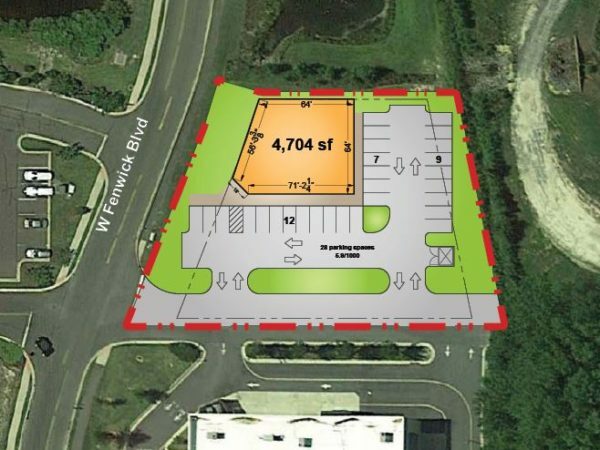 Proposed multi-tenant building in a Food Lion / Walgreen’s-anchored development on busy DE 54. Numerous large-scale residential developments surround the site, including Americana Bayside, Swann Cove and the Refuge at Dirickson Creek. Perfect for service retail, ofﬁce, medical or food uses.